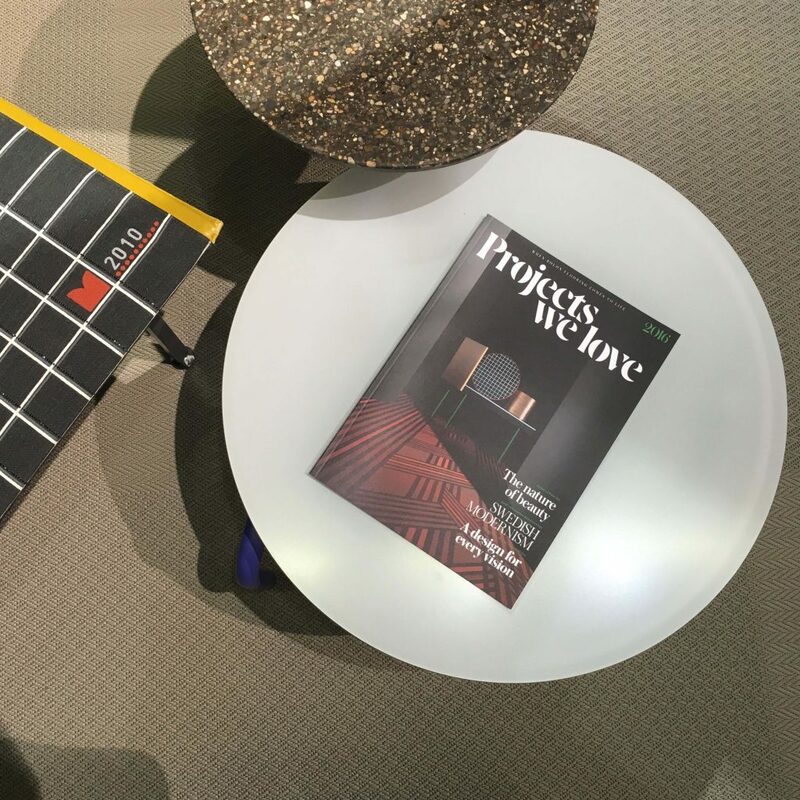 The Stockholm Furniture & Light Fair presented the perfect occasion to reveal the new edition of Projects We Love created by Tack Studio for Swedish flooring company Bolon. We joined Bolon at their stand as they launched their latest collection – Bolon By You, an interactive concept that allows Bolon’s clients to create bespoke flooring from a range of patterns and colours. The Bolon stand during Stockholm Furniture Fair was designed exclusively by British design duo Doshi Levien – who feature in Projects We Love 2016 along with Swedish artist and designer Martin Bergström.